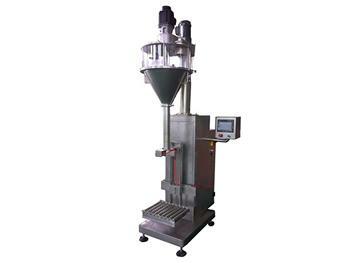 The automatic filling and weighing machine is specifically designed for ultra-fine, dusty powder and high precision packaging. It can accomplish filling and weighing processes according to the signal given by the weight sensor. It is suitable for additives, carbon powder, dry powder and other ultra-fine powder filling and other high precision powder filling. Equipped with a weight sensor, allowing the machine to carry out fast or slow filling according to the preset weight. 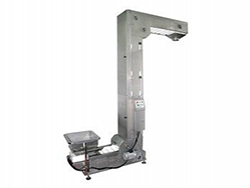 To ensure a high accuracy, the tray lifting is driven by a servo motor, which also ensures a freely set lifting speed. In doing so, no dust is emitted during filling. There are optional pneumatic packaging bag clamping devices and bottle supporting device to satisfy bottle or bag packaging requirements. 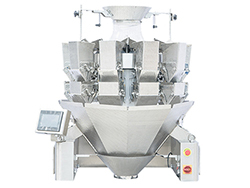 The filling machine is made of 304 stainless steel and a combined hopper to ensure an easy cleaning process. The filling and weighing unit is equipped with a height adjustment device, allowing the equipment to achieve packaging to a variety of specifications. It also features a screw fixing structure for installation, so that it will not influence material properties during filling. 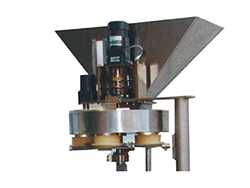 The core parts of the filling machine are sourced from famous brands. Our customers can also choose the specific brands for the motor, air cylinder, electrical accessories, pneumatic components and other machine components. 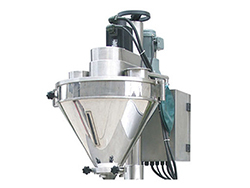 Material feeding: the material can be conveyed into the packaging machine hopper via a screw conveyor. Material filling: start up the filling screw to achieve a fast material filling. After completing the filling process, the packaging machine will automatically carry out a slow material filling. Material filling will be completed when the weight reaches the set value. 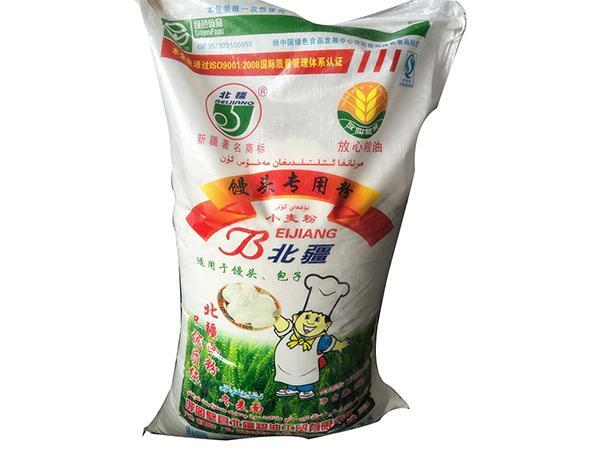 Bag sewing: the fully filled packaging bag will be conveyed to the packaging bag sewing position for sewing. The finished product is then manually removed.